Six people were hospitalized with injuries after a car slammed into a fire truck in Orlando near Orange Blossom Trail Saturday night, officials said. 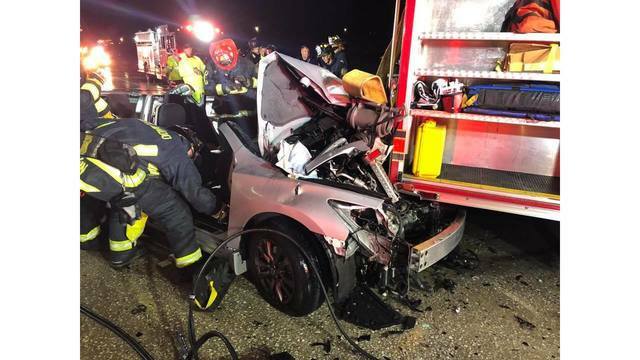 The incident occurred on I-4 around 2:40 A.M.
Officials say that while assisting another disabled vehicle the car crashed at a high rate of speed into the fire engine. Four firefighters were taken to the hospital and the driver and their passenger in the car were also hospitalized.